The Making of a Ham: Mission Accomplished! As I've mentioned here a few times, I really have wanted to get an antenna up in my attic. This has a few really nice advantages. First of all, it allows me to have a permanent home for my antenna. I've been having to manually position my antenna closer to the window when I need to use it, causing a potential trip hazard. Secondly, it gets it above the aluminum siding of my home. There are all sorts of issues with that, but basically, it really blocks signal badly. Lastly, I wanted to use my new Arrow J-pole, which doesn't require an RF ground, as it is a balanced antenna. That allows me to greatly simplify my set up. How did I do it? First of all, I did some research that indicated the best way for me to get my cable down was through the ventilation shaft. 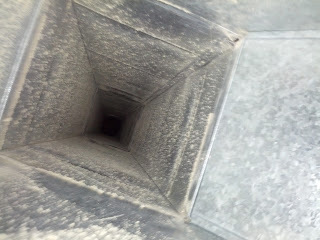 It turns out that there was easy access to that for my desired radio location, so it was a win win! 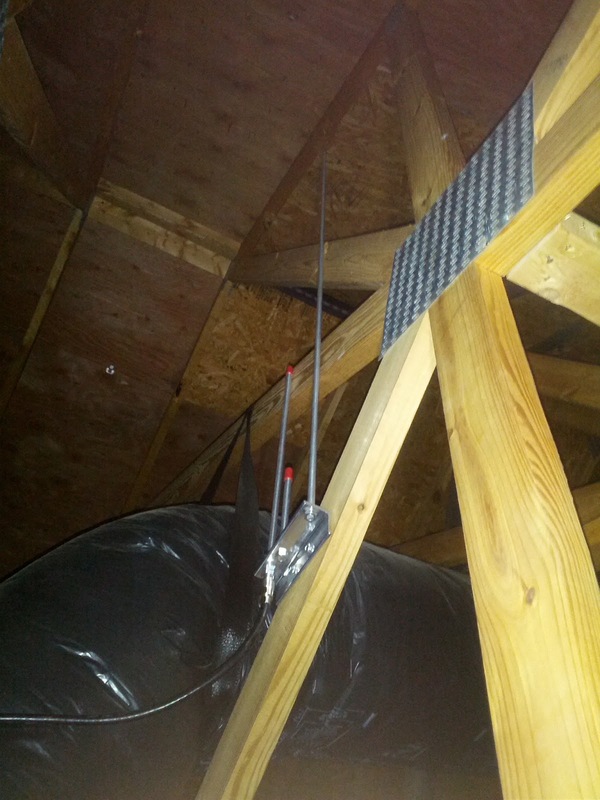 Secondly, I picked the Arrow J-pole as my antenna of choice for my attic. 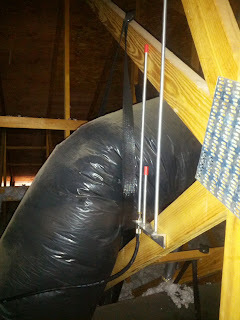 I went up into my attic, carefully moving along to get to the location where I thought would be the best spot for my antenna. Turns out it didn't fit. Disappointed, I managed to find an easier access, and almost equally good spot. Whew! I poked a hole in the ventilation tubing, which required something sharper than my finger. A screw driver worked perfectly well. I then ran the cable down. I sealed it up with some sealant, prior to ensuring that my cable reached it's desired location. I then hung the antenna up, realizing that my drill needed to be charged. Still, I was able to get it in enough for the time being, that I could charge it and figure it out. So, I went back up, pulled the wire out, and put it back down. This time I noticed something, the wire actually was pulling down of it's own accord. I knew I was successful this time! I decided to try just using some insulating metal tape to patch the hole this time. 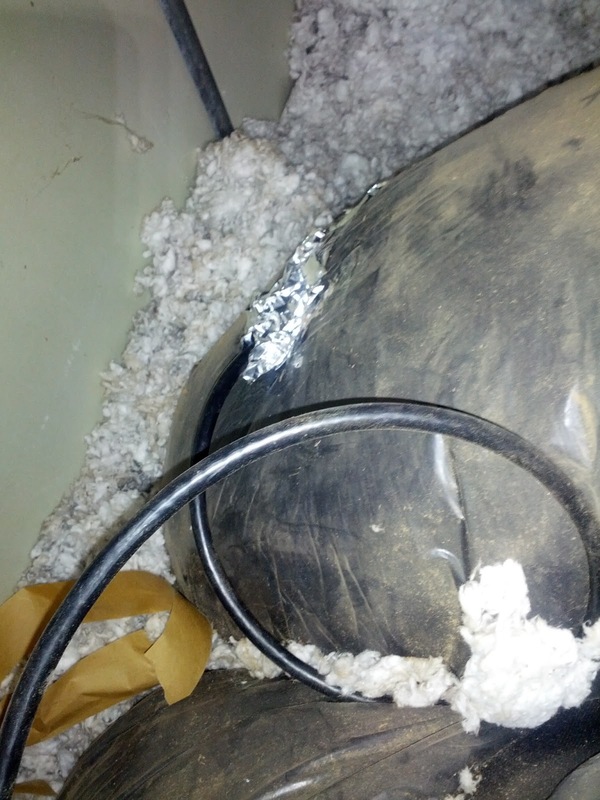 Then I went back to my vent, and noticed that the wire was sticking right out! Success! 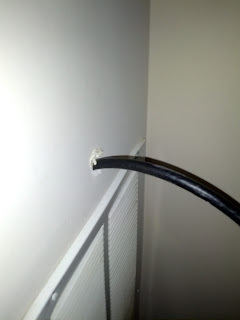 I then pulled the wire out, drilled a hole in the wall, pushed the cable through the hole, and ended up with this! I haven't had enough time to really give a good report yet on my gear, but overall I am pleased. I know I am better able to hear some repeaters, although I think there are some that I'm more marginal. It might just be the day. The reports of my audio quality are also better than they had been. All in all, I think I've got it figured out. So, what are my lessons? 1. Buy a bit more cable than you think you are going to need, just in case. 2. 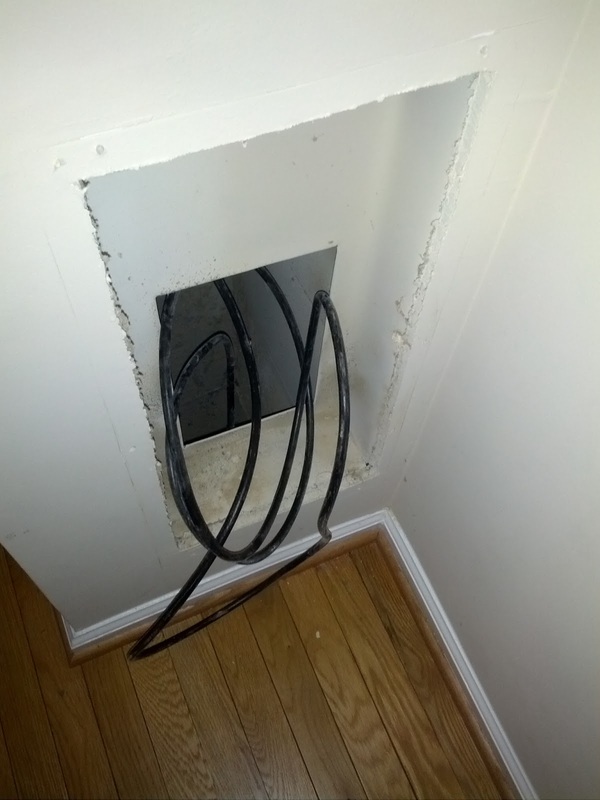 Verify the cable has gone through the vent before you seal up any holes. 3. 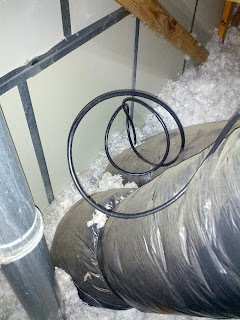 If you are dropping cable through a vent, you should feel the weight of the cable. 4. This whole process has led to an increase of signal quality!